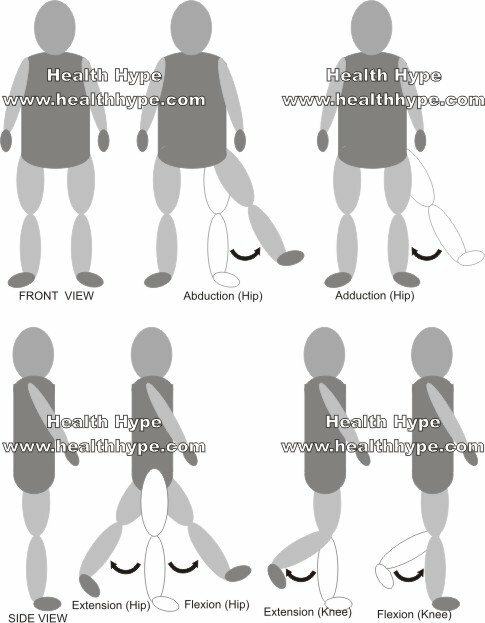 The following diagram illustrates the actions of the terms adduction, abduction, flexion and extension at the different joints. 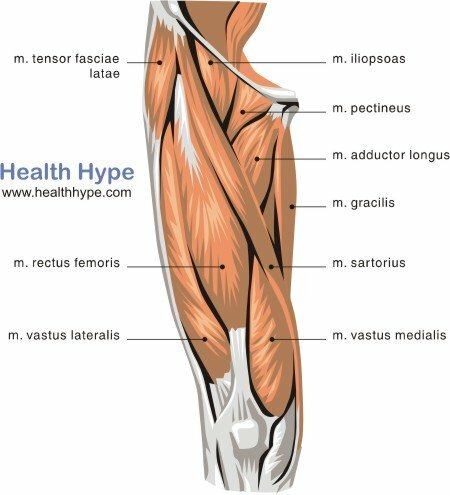 This is important to understand the actions of the thigh muscles in limb movement. This is the largest of the three compartments of the thigh. 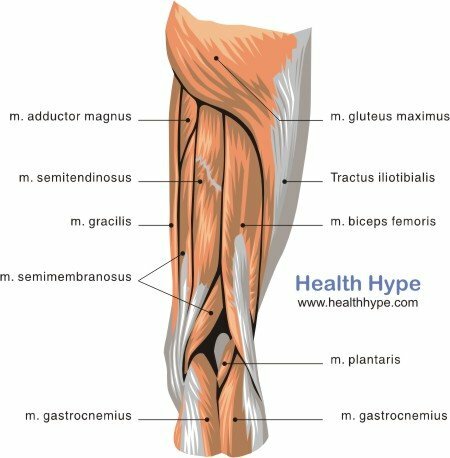 The muscles below are collectively known as the hamstring muscles.